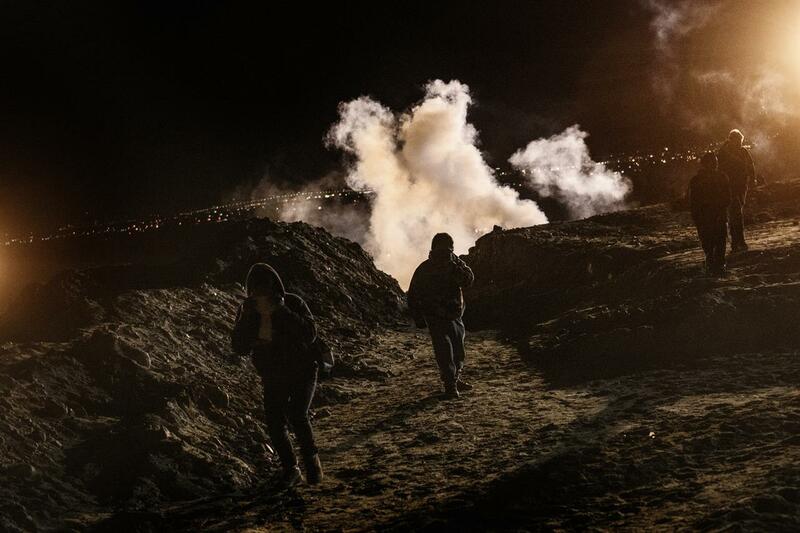 Tijuana, Mexico -- U.S. authorities fired tear gas into Mexico during the first hours of the new year to repel about 150 migrants who tried to breach the border fence in Tijuana. In November, U.S. border agents fired tear gas at a crowd of migrants moving toward the U.S.-Mexico border. An Associated Press photographer saw at least three volleys of gas launched onto the Mexican side of the border near Tijuana's beach that affected the migrants, including women and children, as well as journalists. Image copyright AFP/Getty Image caption Around 150 Central American migrants tried to make the crossing Image copyright AFP/Getty Image caption The US says it was not aiming tear gas at the migrants The US said security forces used tear gas after migrants threw rocks, and that they were deliberately aiming upwind of rock-throwers who they say hindered agents from helping migrants who were passing children over razor wire. Image copyright AFP/Getty Image caption Some migrants reportedly tried to pass children over the fence into the US Image copyright Reuters Image caption Migrants used a treatment to counteract the tear gas effects US Customs and Border Protection said 25 people were detained, including two teenagers. "Agents observed several individuals throwing rocks who appeared to have prepared themselves for the assault by applying lotion to their faces to counter the effects of chemical munitions," Rodney Scott, chief patrol agent of the U.S. Border Patrol's San Diego sector, said in a statement posted on Instagram. Most have been stopped in Mexico and have been waiting in shelters in Tijuana for weeks for a chance to apply for asylum in the U.S. Several of the migrants told the Los Angeles Times they tried to cross the border illegally after growing frustrated with the deadlocked process. U.S. border authorities fire tear gas into Mexico as a group of roughly 150 migrants attempt to cross the border into San Diego. PHOTOS: U.S. authorities fired at least three volleys of tear gas into Mexico to repel about 150 migrants trying to breach the border fence in Tijuana early on New Years Day. 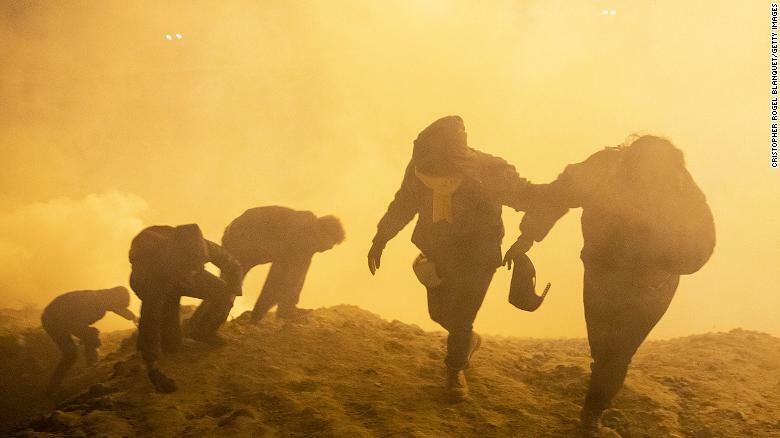 Around 150 migrants at the Mexican border in Tijuana began the new year fleeing tear gas launched by U.S. border agents. The use of tear gas against unarmed people seeking asylum — including children — is cruel and inhumane. And it violates our international human rights obligations. @CBP must be held accountable. 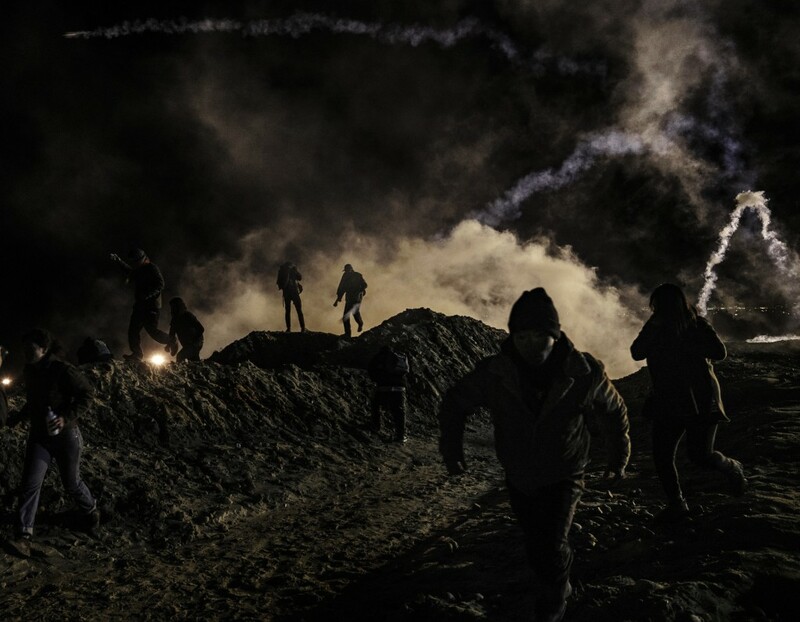 Daniel Ochoa de Olza/AP U.S. border protection agents fired tear gas into Mexico early Tuesday aimed at about 150 migrants who were trying to scale over and crawl under a border fence to cross into the U.S., according to The Associated Press. In a previous incident, U.S. agents launched tear gas across the border after some migrants tried to breach the border following a peaceful march in Tijuana on Nov. 26. 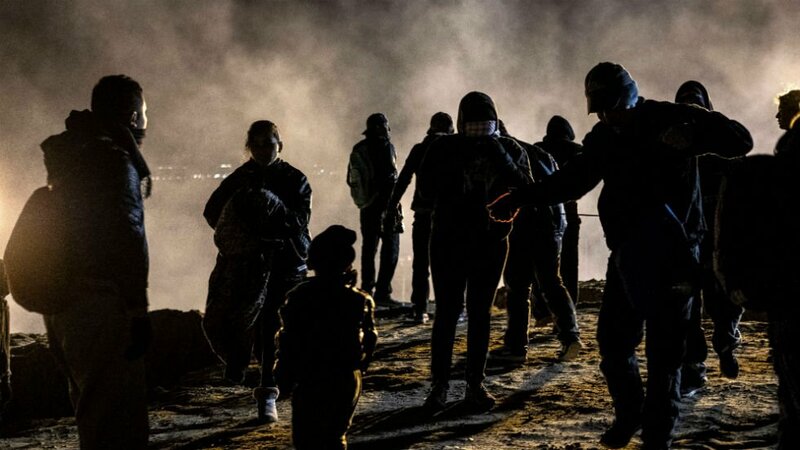 U.S. Customs and Border Protection said in a statement later Tuesday that the gas was used to target rock throwers apart from the migrants who were trying to cross. Image copyright Reuters Image caption Some threw the canisters back over the border wall into the US Image copyright Reuters Image caption A Reuters witness said one migrant was hit by what looked like a tear gas canister US Homeland Security spokeswoman Katie Waldman called the group a "violent mob", and said agents used "the minimum force necessary to defend themselves".